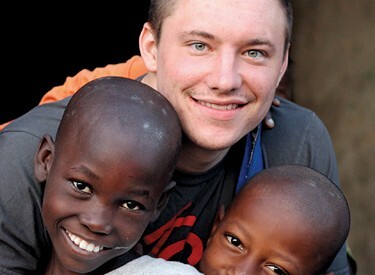 When it comes to our students, at the heart of KCU’s mission and vision is the desire to develop the whole person. Achieving academic excellence and establishing personal relationships are important, but it is our belief that true transformation only takes place as a result of an intimate relationship with God the Father, through the person of Jesus Christ the Son, by the power of the Holy Spirit at work in the lives of believers. That’s why, at KCU you will discover a Christ-centered community of faculty, staff, and students committed to growing in their relationship with Christ by integrating their faith into every facet of their life, both on and off campus. We are a Christian university by design and proudly continue to live out a nearly 100 year old tradition of infusing faith and education in such a way that empowers our students to be catalysts for Kingdom advancement and global impact. It’s what sets us apart from other universities and it ‘s what gets us out of bed in the morning. Our curriculum is designed to integrate faith and learning by teaching students how their faith applies to their chosen career path, but it’s more than that. It’s the times of prayer and devotional lessons with your professors in the classroom or the personal mentorship that same professor offers you outside of class. It’s chapel service twice a week, dorm devotions with your RA’s, worship nights in the Nash Chapel, and mission trips to foreign countries. At KCU, you can be sure that you will have the opportunity to not only grow academically and socially, but spiritually as well. A variety of small group opportunities are available each year to KCU students. Each small group takes on its own unique structure – some are Bible study driven, some will read and discuss a book, some pray, and some serve. Other groups do a little of each. Devotions also take place as part of normal dorm life, and those are usually organized by the Resident Assistants in each dorm. A number of other campus groups meet throughout the year that students can join as well that are great places for spiritual growth, ex: Fellowship of Christian Athletes and Matheteo Society (Missions). One piece of the KCU experience that sets us apart is that devotions, prayer and accountability are built into many areas of campus life. Those things are built into many classes, meetings, pre-game festivities, huddles, and gatherings of all types. 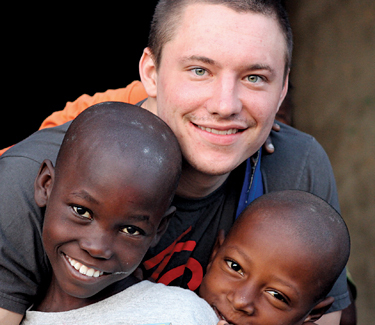 Each year there are short term mission trip opportunities that emerge. Though not specifically sponsored by KCU, most are led by KCU faculty or staff. These trips vary in nature and time of the year, and recent trips have included Haiti, Costa Rica, and the Dominican Republic. Additionally, the Campus Ministry office brings many mission organizations to campus throughout the year to promote their short term opportunities. KCU students have travelled all over the world during Christmas and Spring break, as well as during the summer months. Periodically there are special events held on campus. Some of these are organized by students who are part of the Worship Ministry program, and they are always terrific, refreshing experiences. Other times, a group of students might feel led to plan something unique. Working with the Campus Ministry office, these evening worship experiences can be rich and good for the soul. 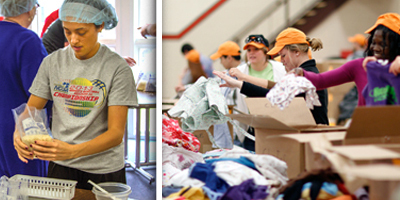 Throughout the year, a number of service project opportunities are planned. 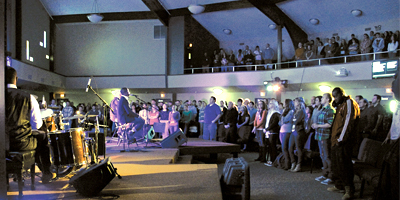 Some are organized by the Campus Ministry office, while others emerge from the student body as either an idea for a unique ministry or service, or as part of a class project. Some events we have organized in the past include Sole Hope (making shoes for children in Uganda), Master Provisions (collecting and packing clothing that is shipped to missionaries around the world), and Life Line food packing (funding and packing food kits used and distributed by missionaries in Haiti). One of the more successful projects that is done yearly is sponsored by the Social Work department called “Trick Hunger Treat Families,” a food collection project that stocks a local food pantry.